Water Damage Restoration 2010 Storm Events. 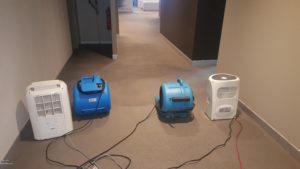 Our Water Damage Restoration 2010 year was an extraordinary series of weather events in Sydney, Melbourne and Perth. We were present at each event and attended about 700 domestic insurance claims, 100 commercial properties and a couple of hundred private water damaged homes. It all started with Sydney. On the 7th of February, the North Shore of Sydney experienced an extreme weather event. Berowra recorded 209mm of rain and wild winds. These types of conditions are perfect for flood damage to happen on a massive scale. We were fortunate at the time to be a preferred supplier for IAG and Suncorp Metway. As you may know, these two companies control about 80% of the home and contents insurance market in Australia. The insurance claims came flooding in (if you will pardon the pun)! In terms of such a serious event, a company like us is only a small cog in the overall restoration machine. Our administration was completely dominated by flood work for 14 days. 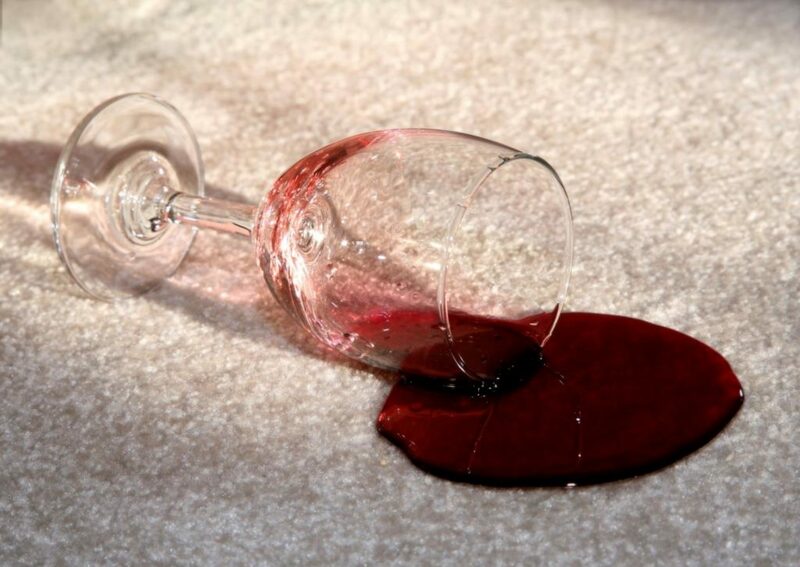 We were working very long days and all domestic carpet and upholstery cleaning was put on hold. The test of our customer service was pushed beyond anything we had experienced before. Unhappy policyholders, minimal contact with our suppliers and more claims constantly coming in. All our technicians were given an offsider to help them cope with the physical demands of moving furniture, wet carpet extraction and moving contaminated contents out of homes. We also engaged a rubbish remover to travel between the affected properties and get rid of smelly wet carpets/contents. Claims were quite varied. One home would have 1 slightly wet bedroom. Other homes were inundated with flash flooding into the property affecting every room. Some homes even had double or triple garages full of stored flood-damaged contents. To this day it amazes us how valuable that water damaged old television or computer suddenly becomes. The one positive to come out of the February event is that it was local work for us. We could go home and just crash. Water Damage Restoration 2010 take two. The same type of storm hit the same areas in Sydney on the 21st February! The same chaos descended onto the technicians and administration for the second time. We thought that we were getting on top of the first event (only just). Melbourne Hailstorm – Water Damage Restoration 2010 Take Three. To get away from the grind in Sydney, one of our owners went to play golf with some friends in the Mornington Peninsula on the 6th and 7th of March. During the afternoon of the 6th they were asked to return to the clubhouse as a serious storm seemed to be approaching. The Australian Bureau of Meteorology (BOM) has a radar depicting rainfall severity with colours. Blue for normal rain, yellow for quite strong rain, red for serious storms and black for the worst case scenarios. He was watching the radar on the BOM website to work out when they could get back on the course. When black colours appeared on the radar over Melbourne, it was something he had not seen before. Talk about taking the job with you! The storm over Melbourne caused many millions of dollars of damage. Our insurance companies again asked us to attend because claim volumes dwarfed the capacity of local restorers. The final Australian wild weather saga in 2010 took place in Perth. When the call came to go to Perth we had logistics to consider. Unlike Sydney and Melbourne, driving to Perth was not an option. It meant that we ended up renting vehicles and equipment locally. We attended and again took care of many flooded properties. It was our fourth Water Damage Restoration 2010 event. We are happy to take care of any kind of flooded property. Our company can handle many claims at the same time. We understand insurance companies and their claims procedures. Let us take care of the headaches for you. 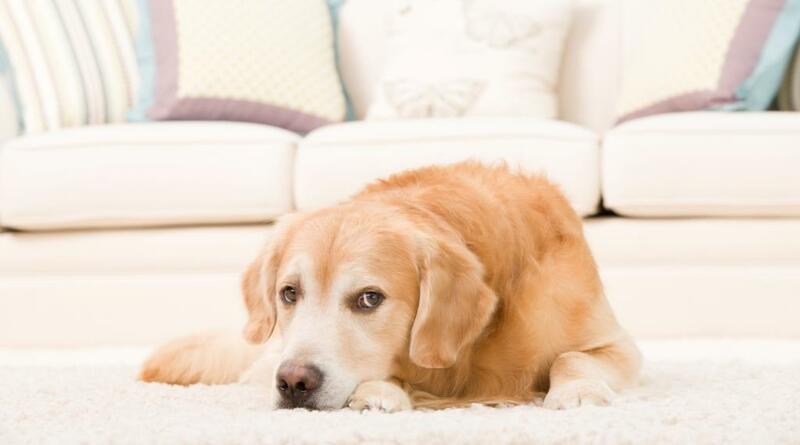 Our technicians are able to clean and sanitise carpets, rugs, sofas, mattresses and other soft furnishings once drying has been completed. 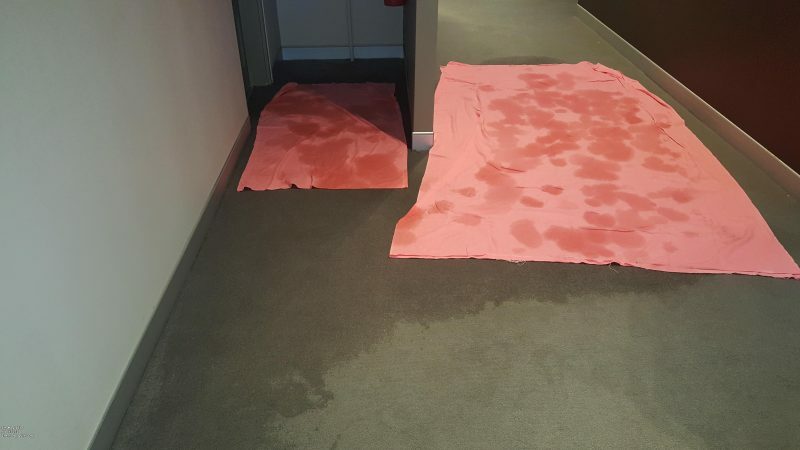 Call us on 1300 136 776 for emergency water damage restoration. Thank you Nicole for your swift response. My regards to the boys including Greek Phillip.